Larry Scott’s Bio-Phase Feedback Training continually freshens your training program to lift you on to the faster growth curve. 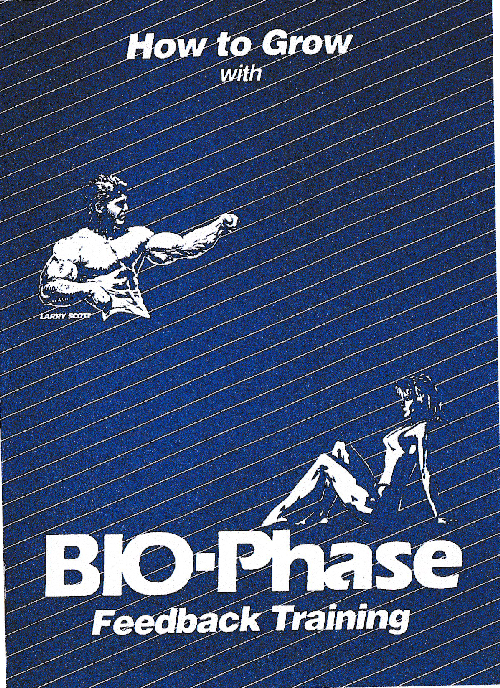 Larry Scott’s Bio-Phase Feedback Training continually freshens your training program and uniquely duplicates the Phychological, Physiological and Neurological condition necessary to lift you on to the faster Bio-Phase growth curve. Advice on equipment necessary, concepts to follow, schedule of routines, and advice on how to use bio-phase growth curve to improve your training. what was the carbohydrates n measurements used? Isn’t this contradictory to Vince’s famous steak and eggs diet? He advised not to use any carbs and still work strenuously with fats providing the necessary energy. No. Even on the protein-only routine, Vince had his students eat a carbohydrate meal every three to four days. You need this to replenish the body’s glycogen stores. Otherwise you will lose definition and vascularity, and not get as good of a pump.